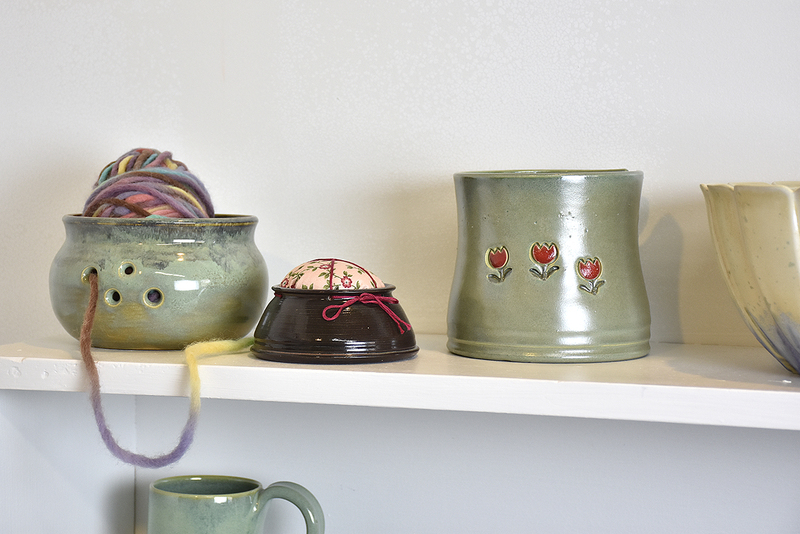 Vickie produces beautiful creations using both the wheel and handbuilding them. 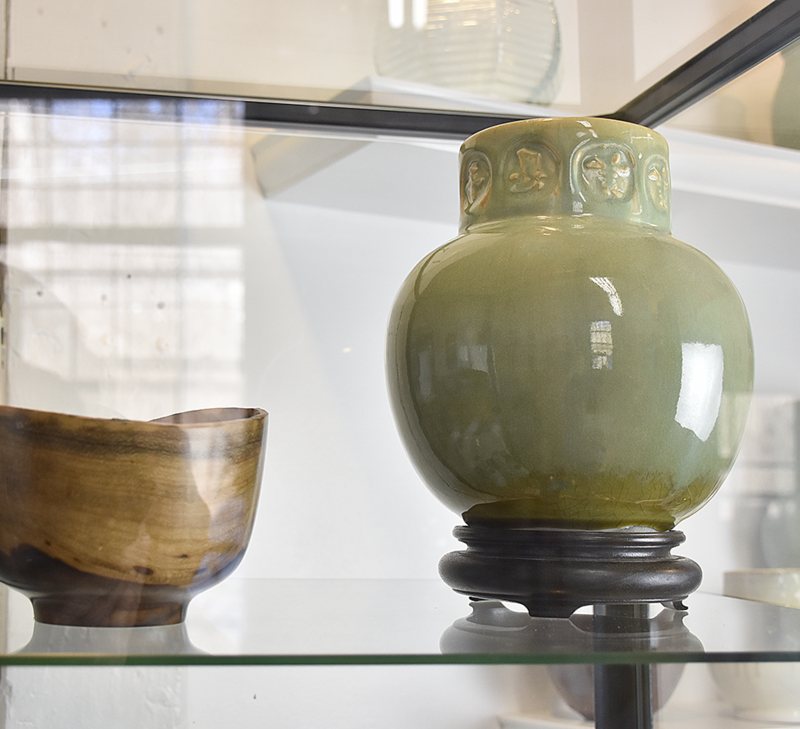 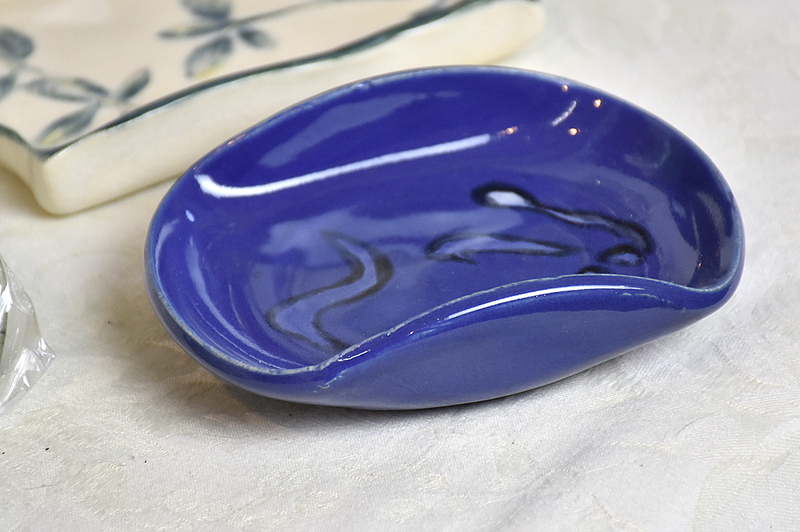 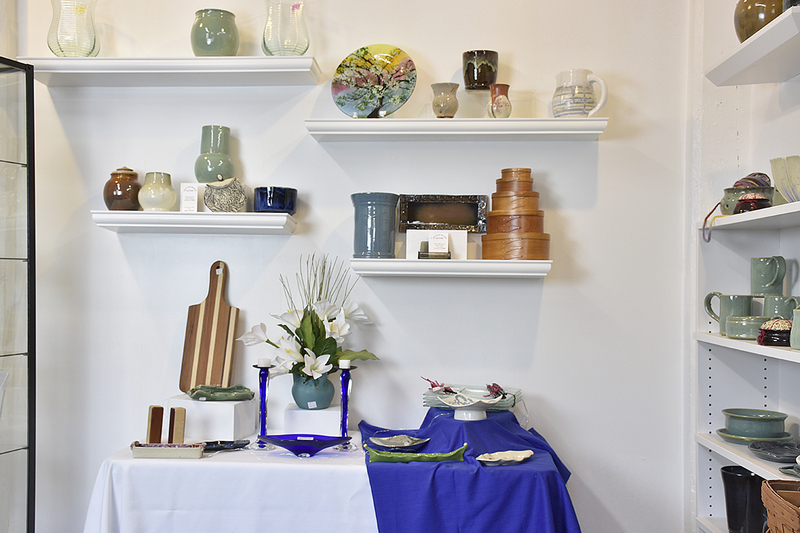 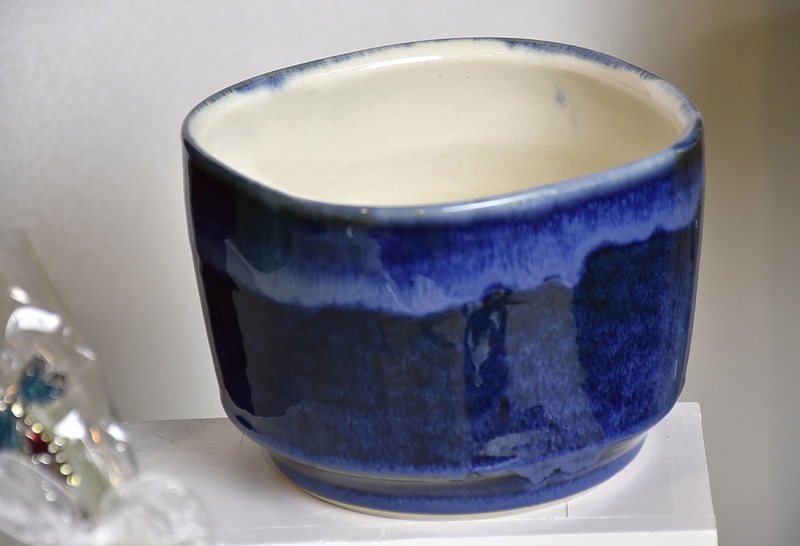 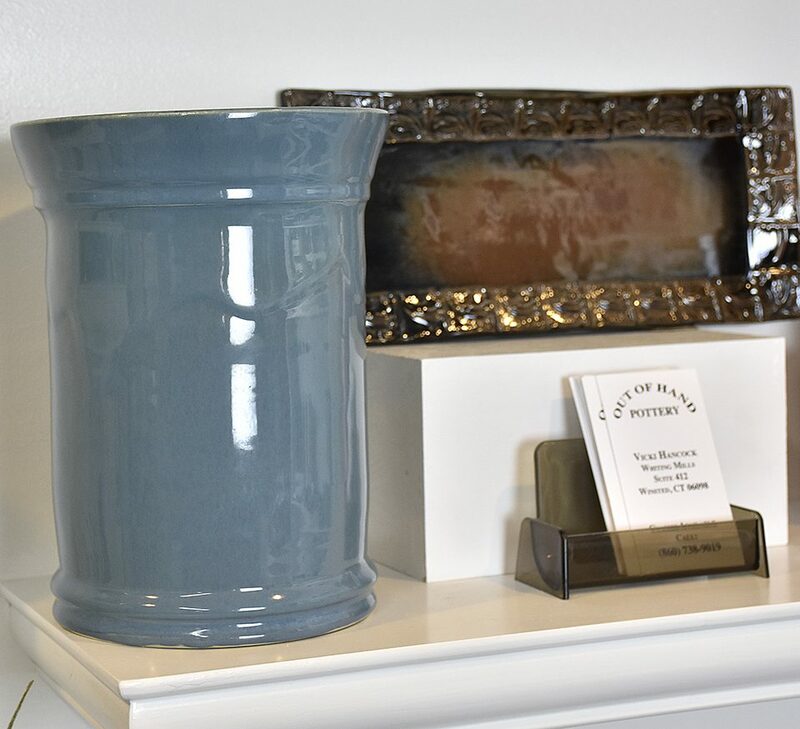 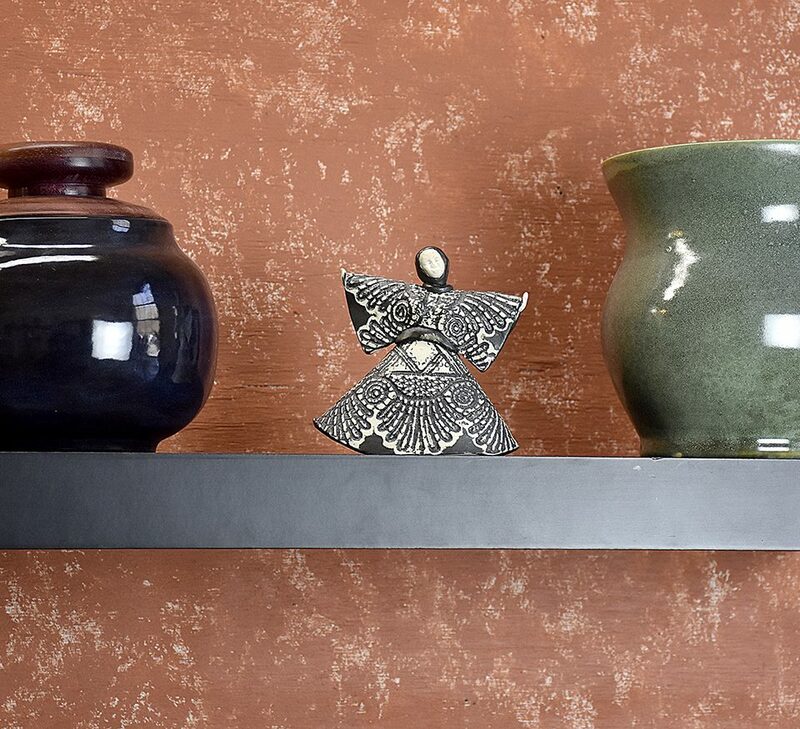 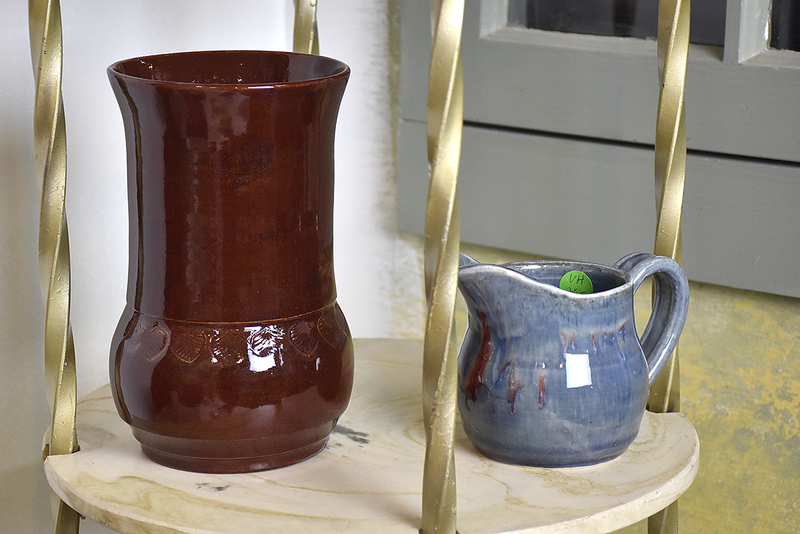 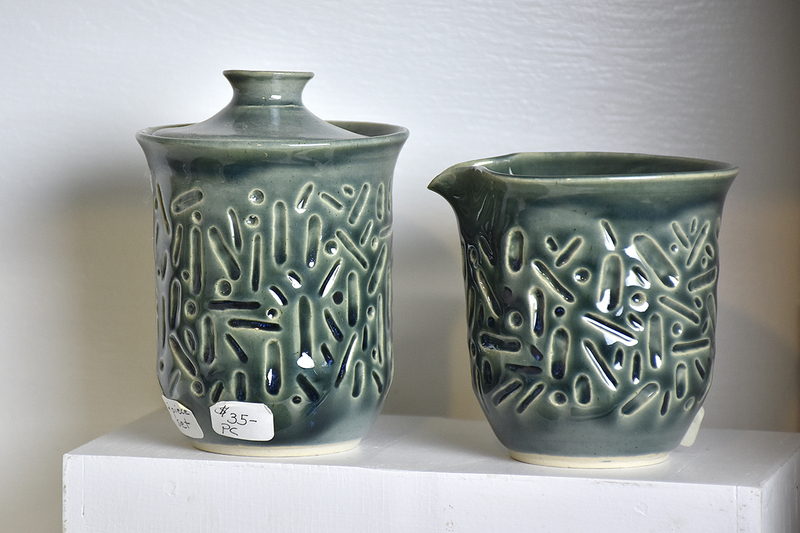 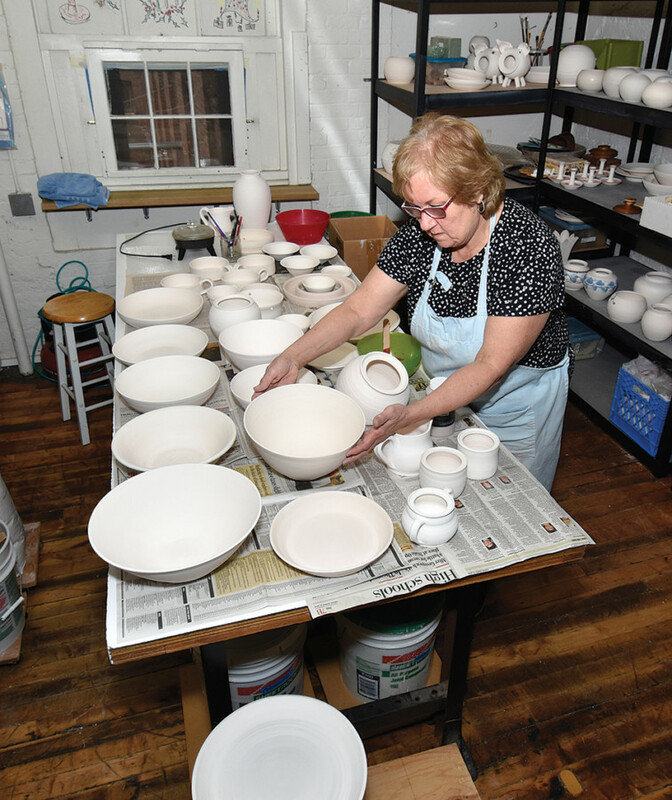 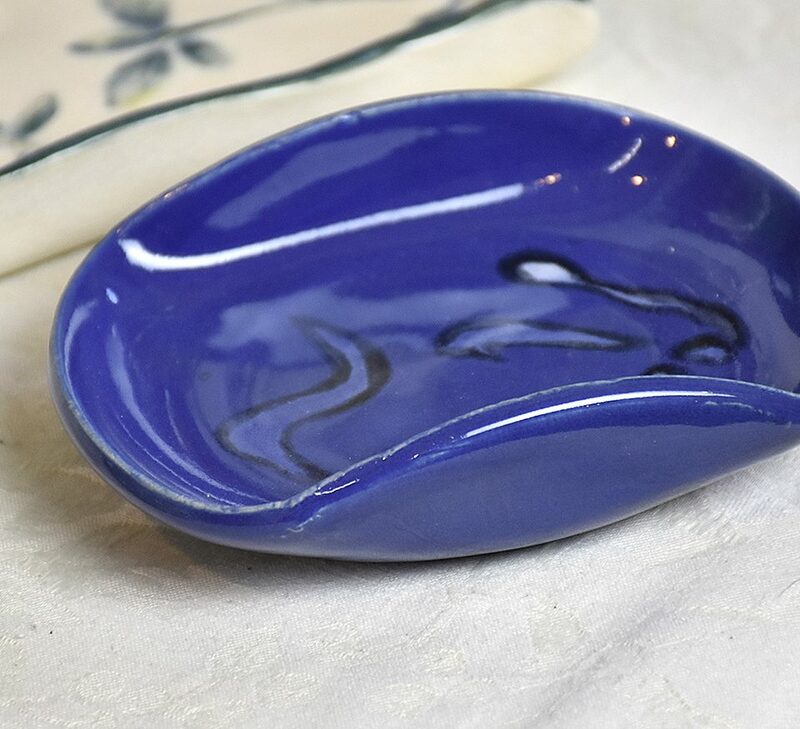 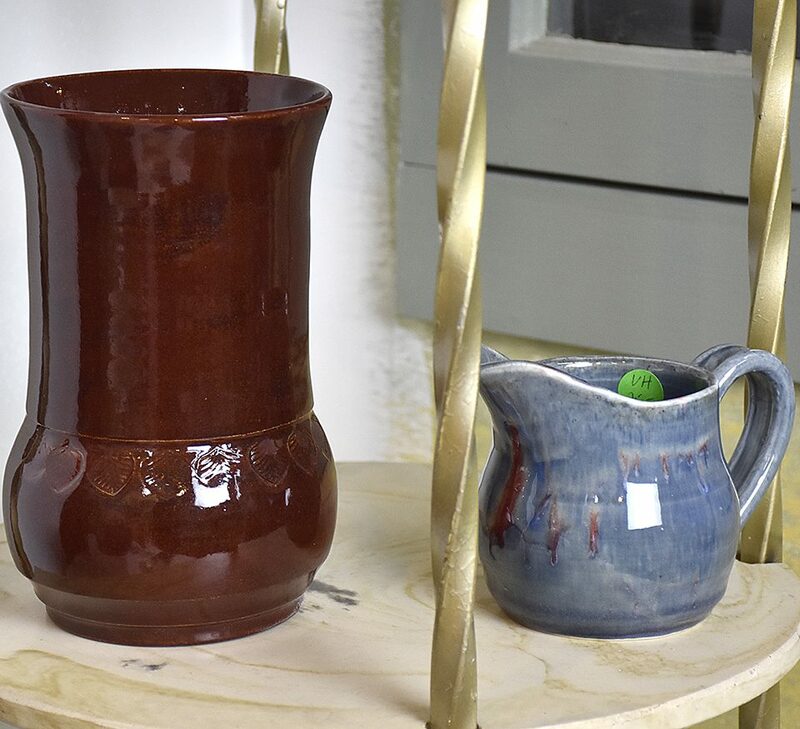 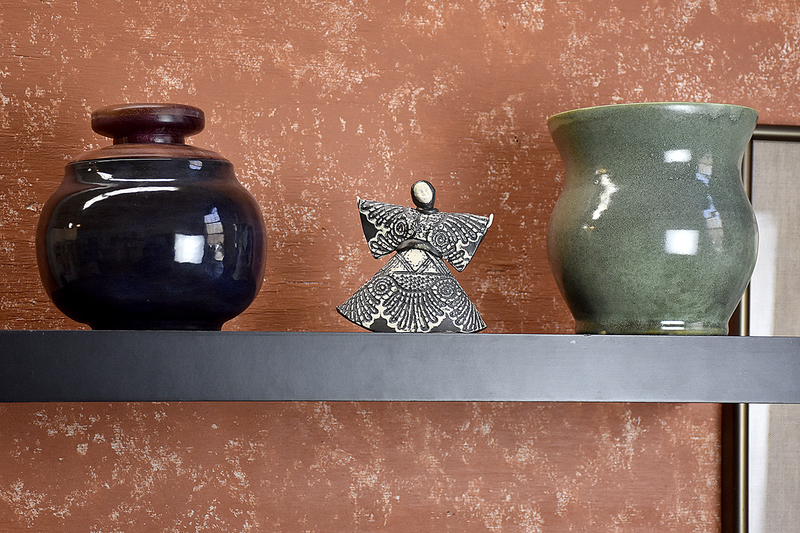 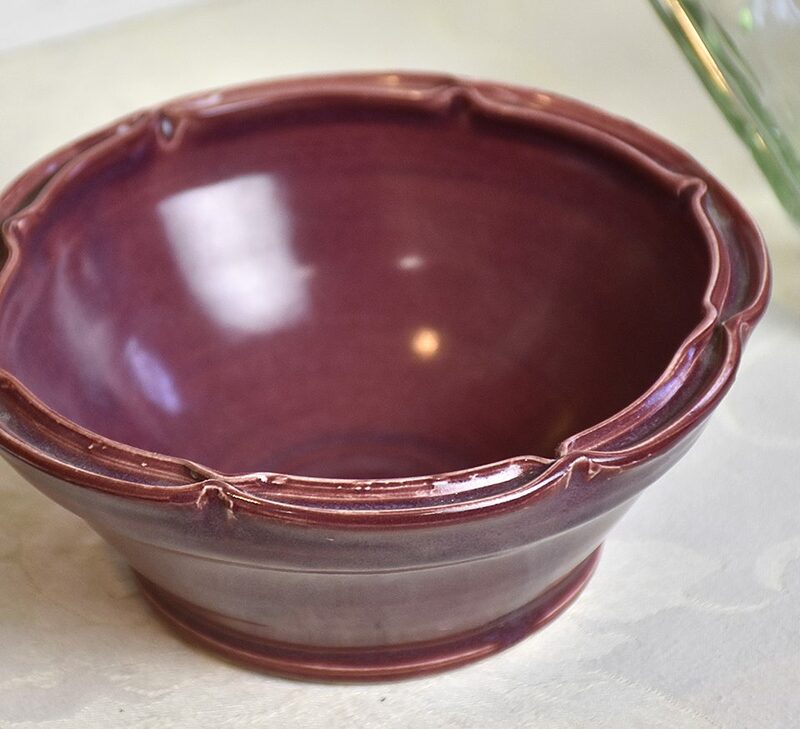 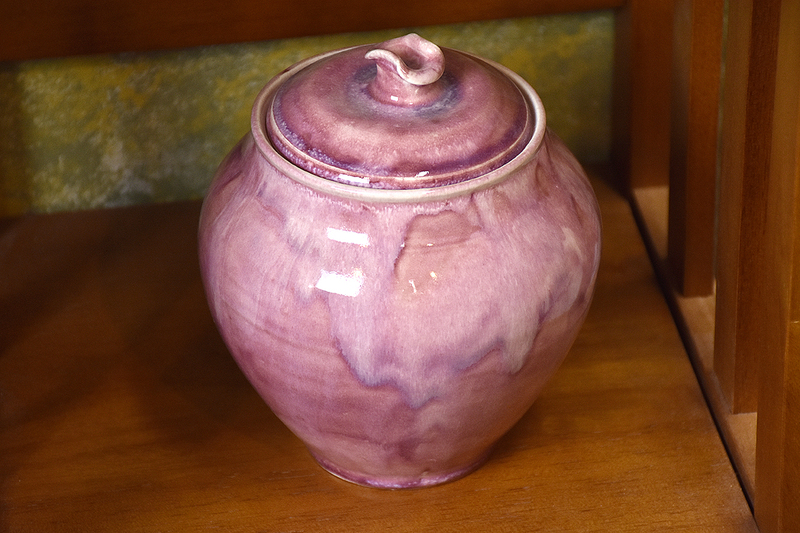 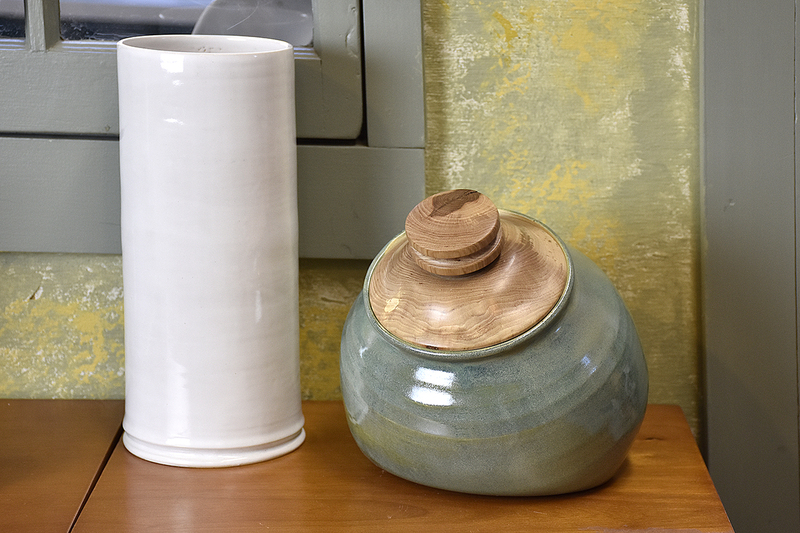 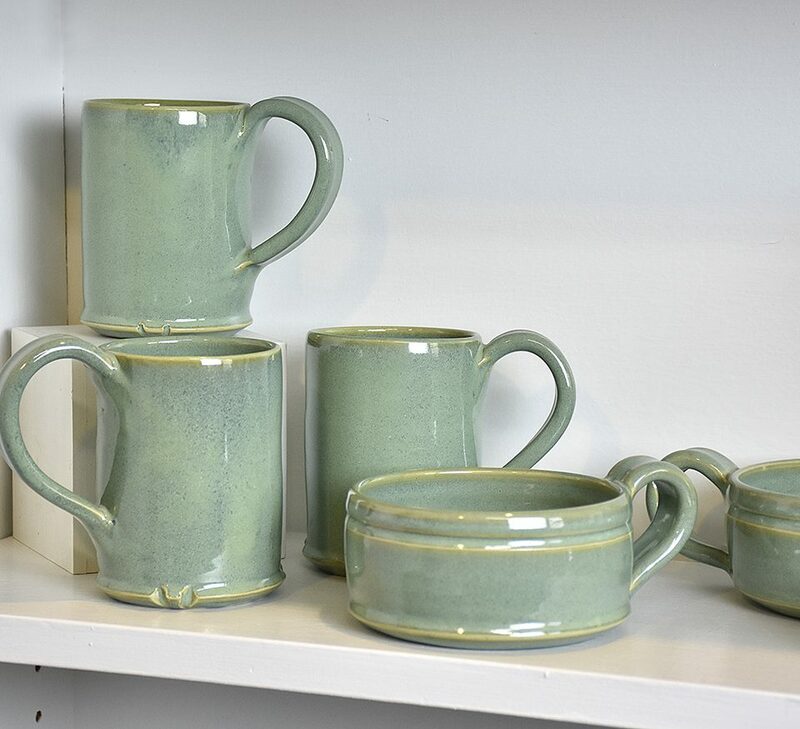 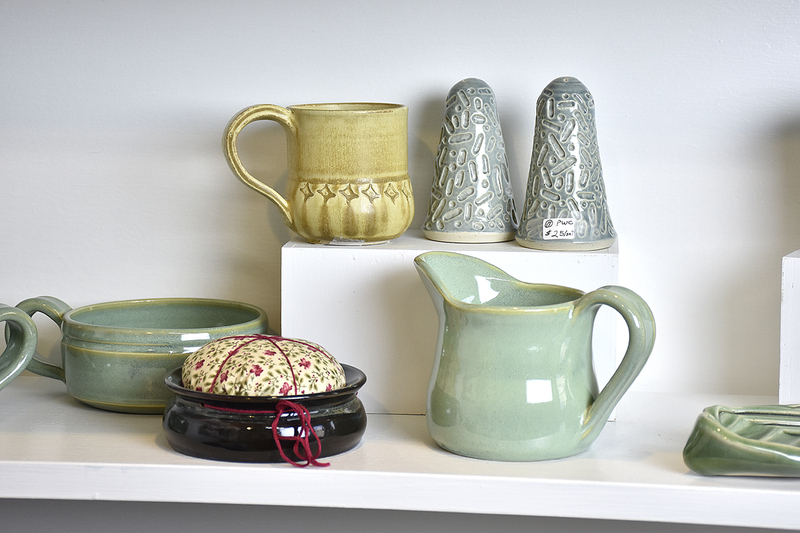 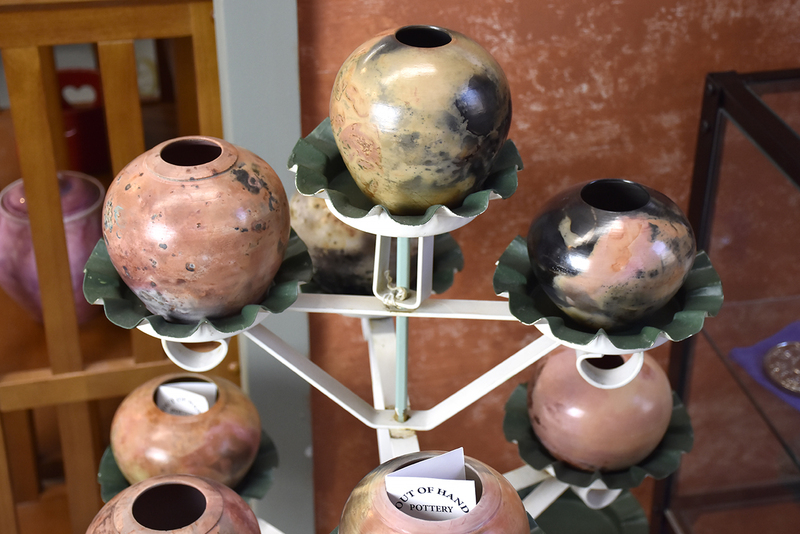 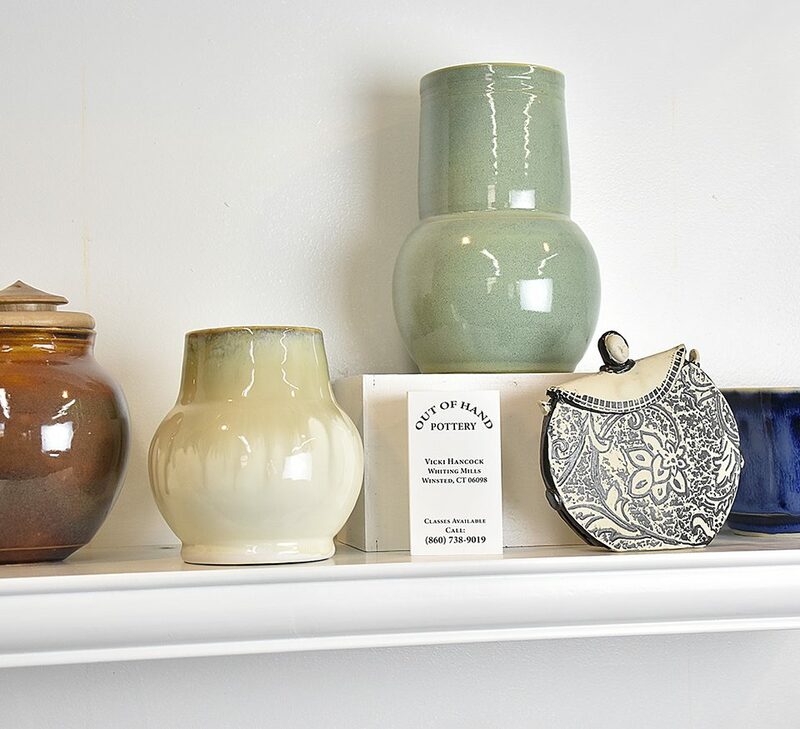 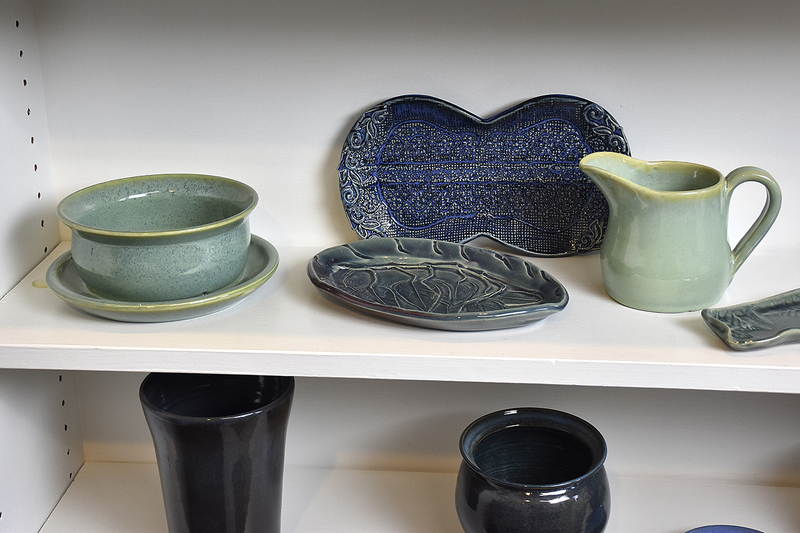 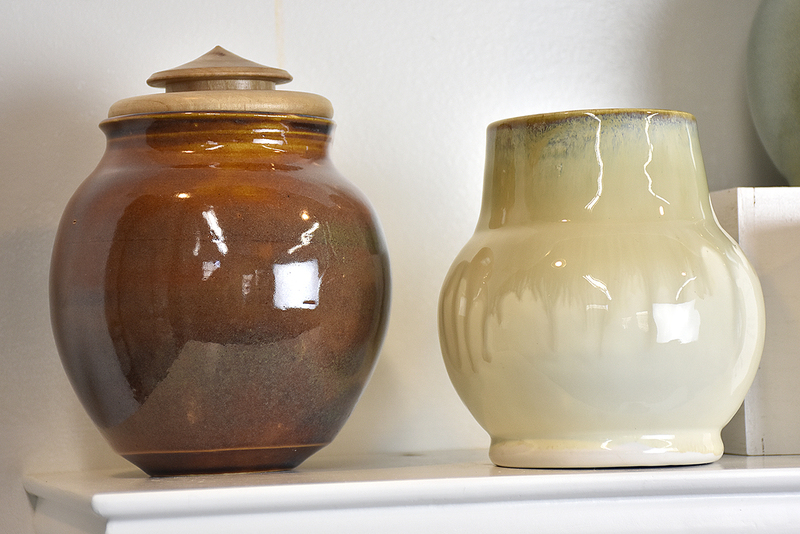 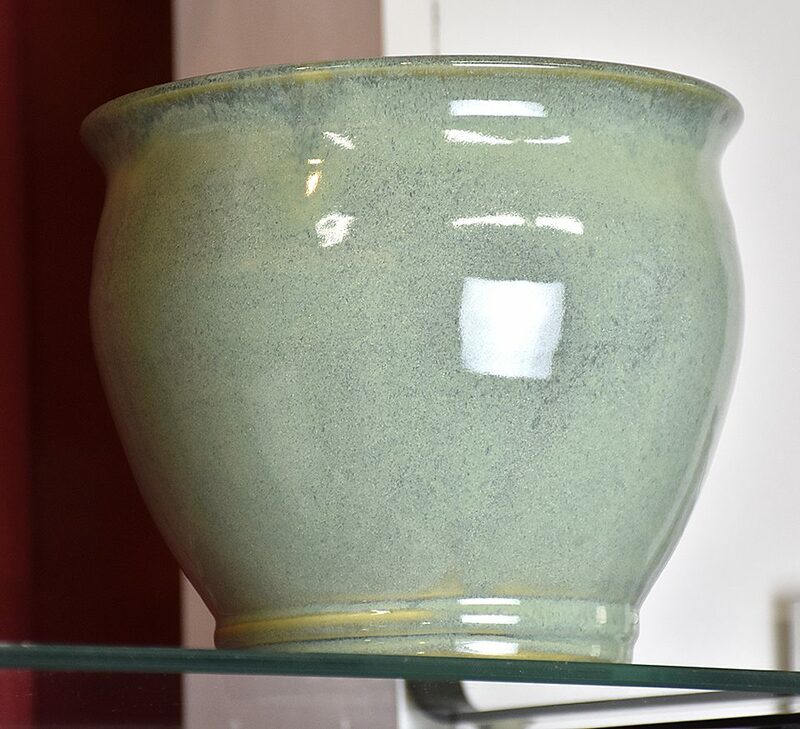 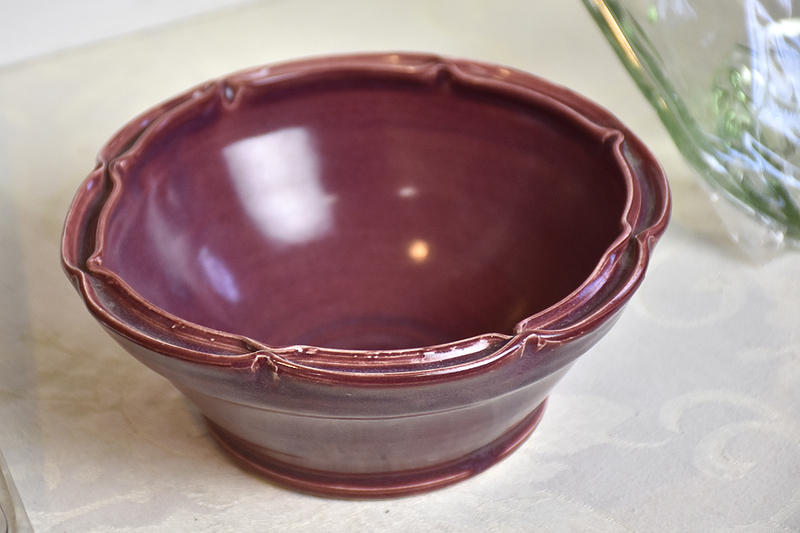 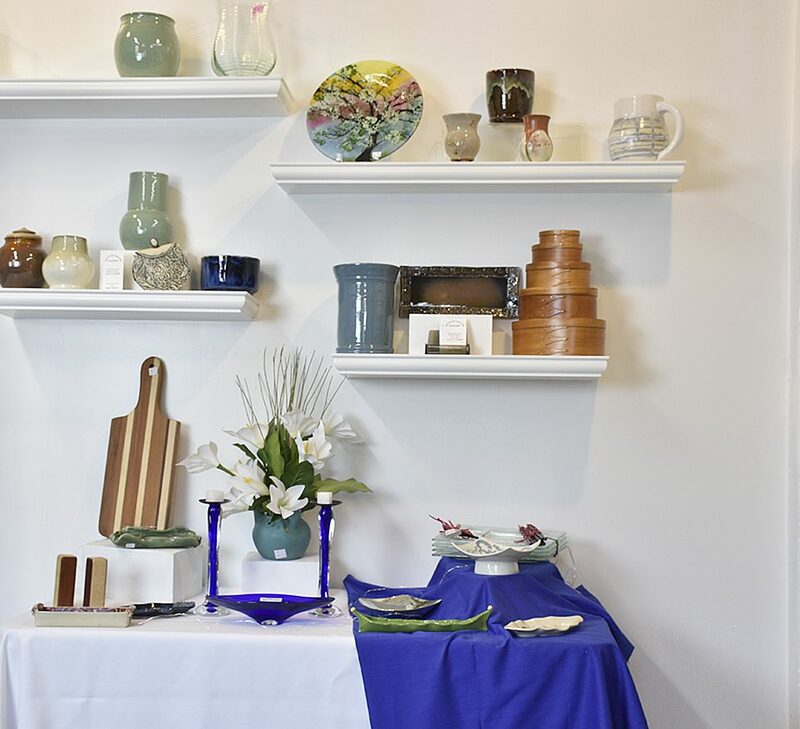 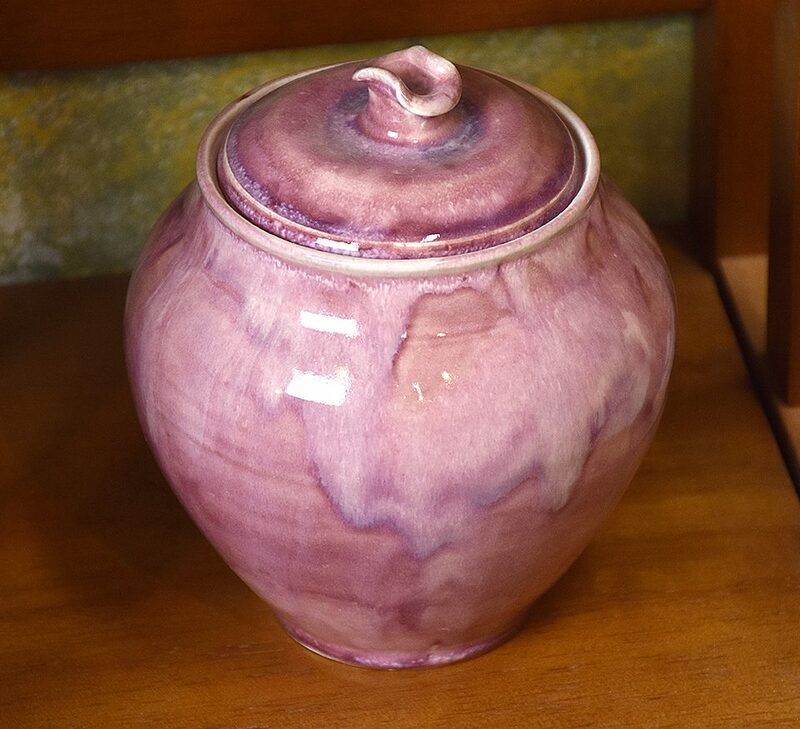 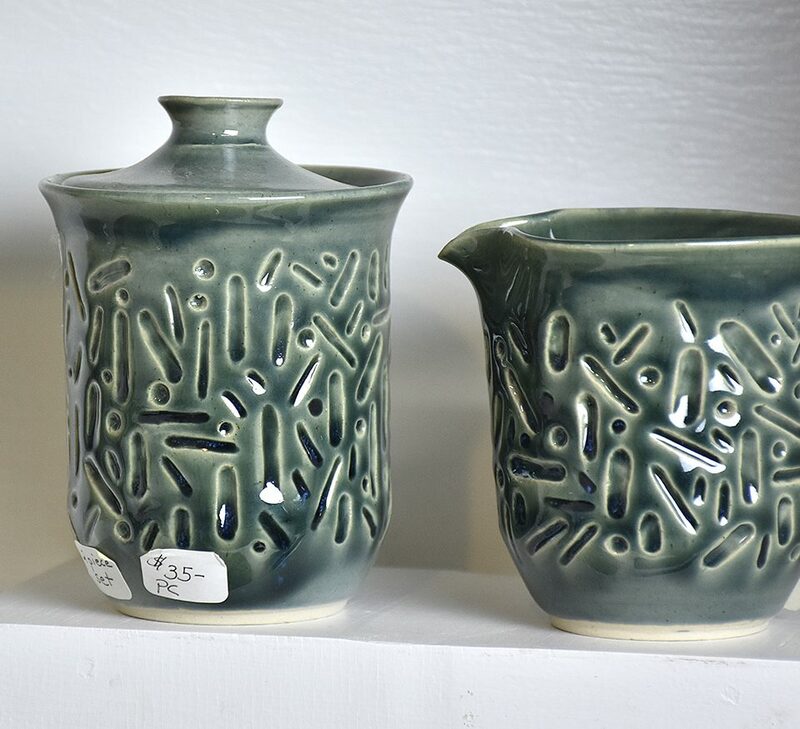 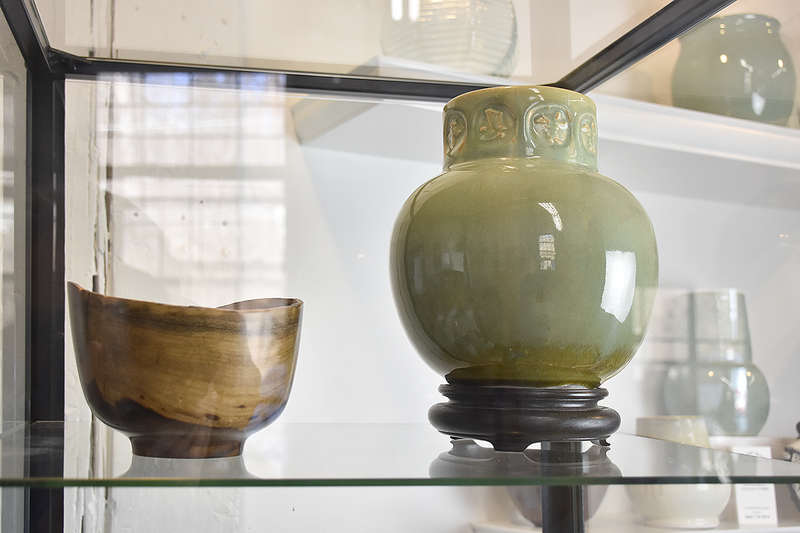 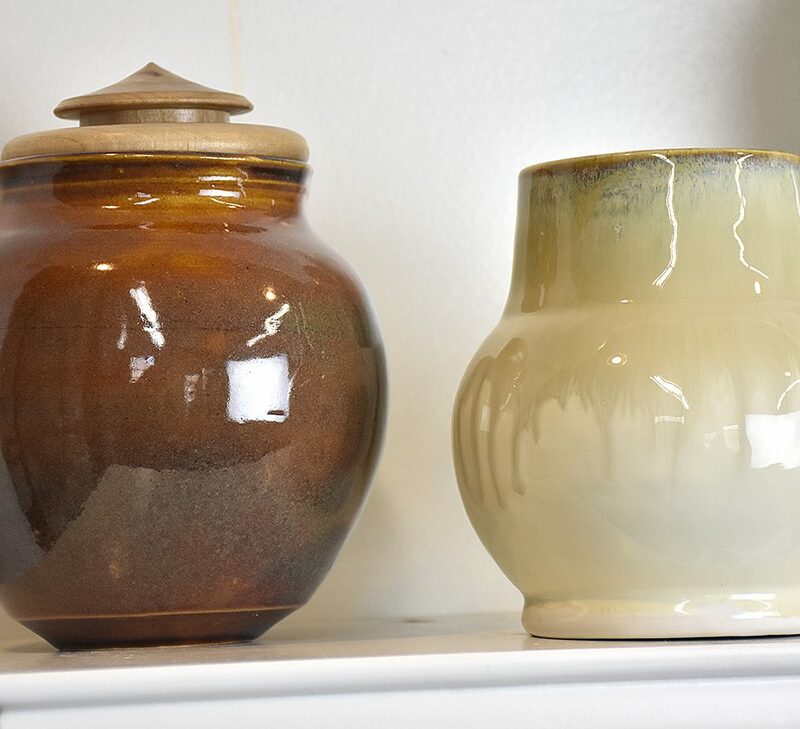 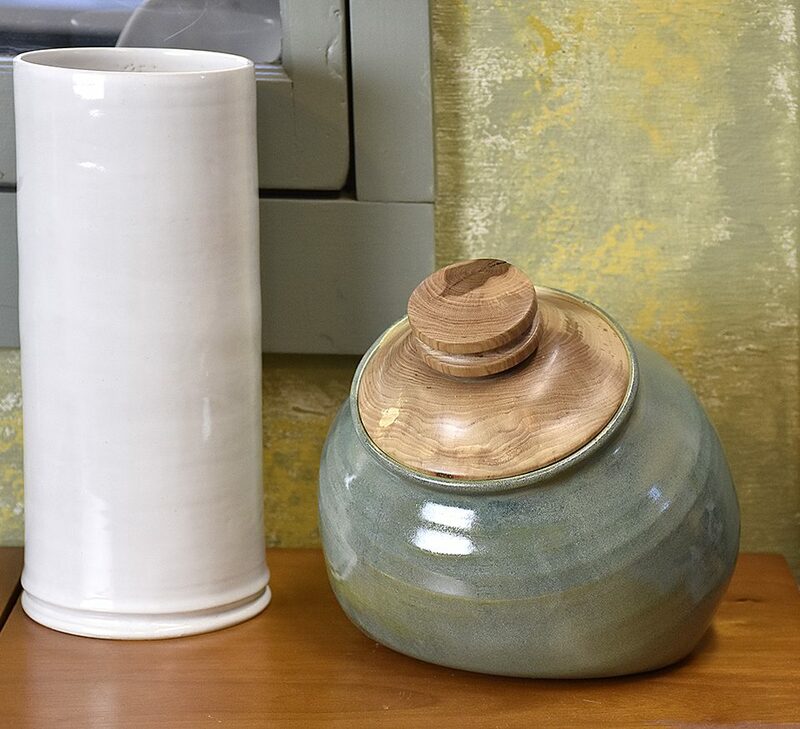 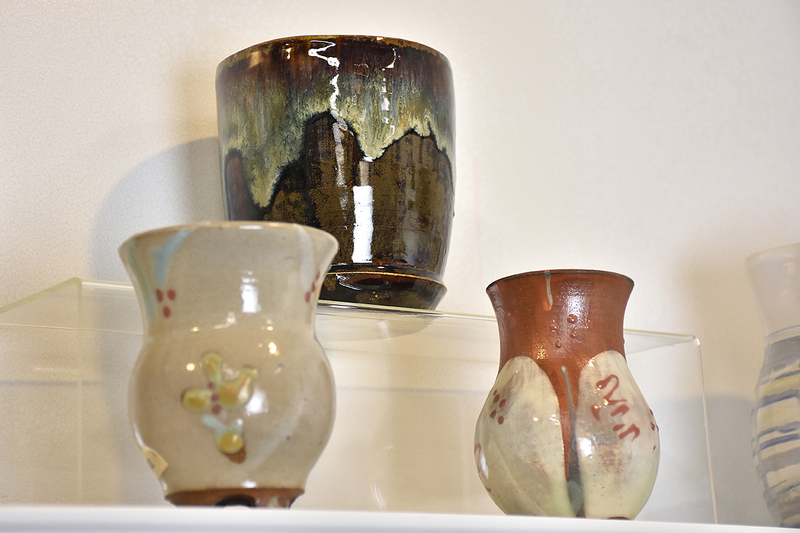 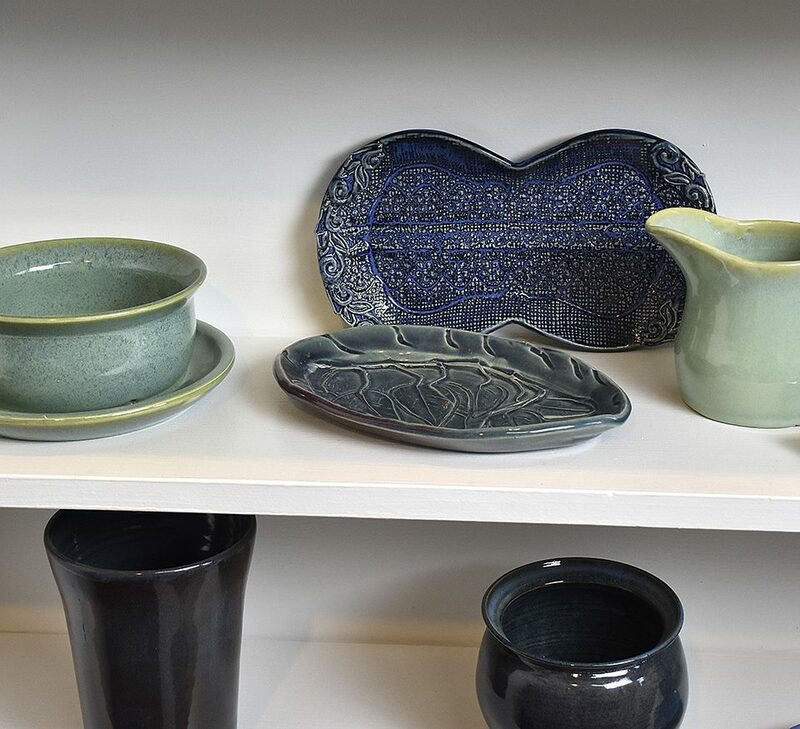 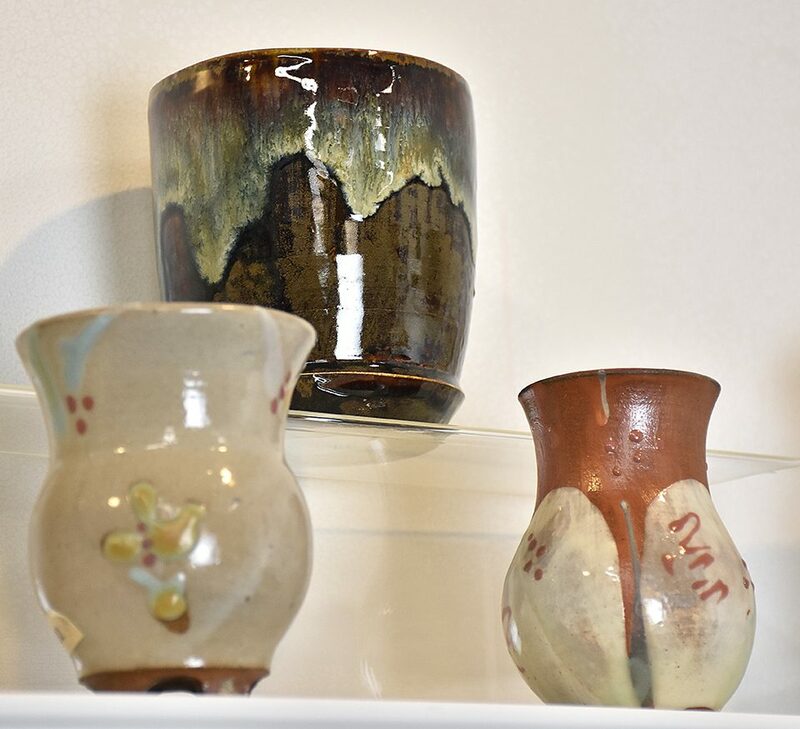 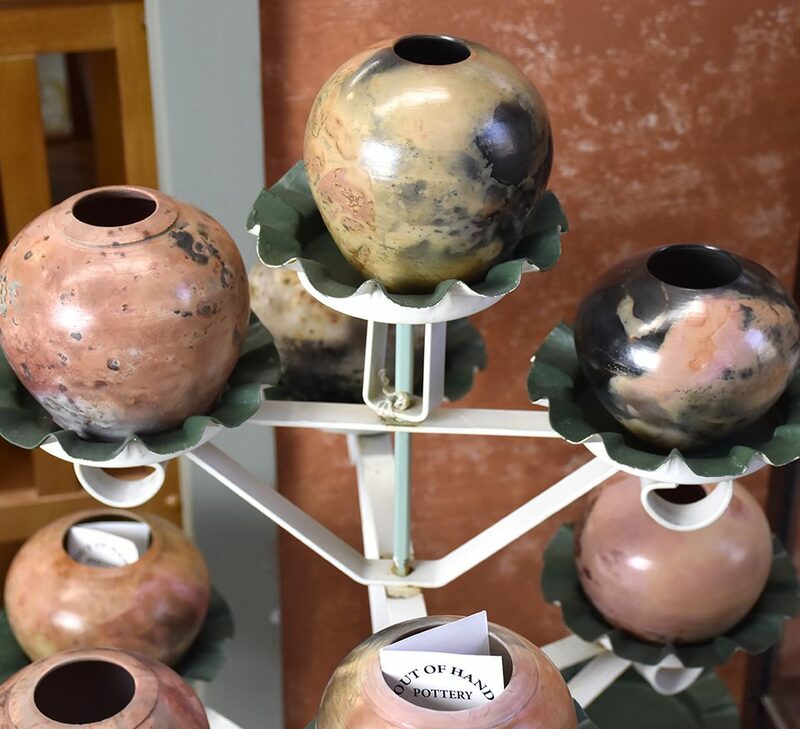 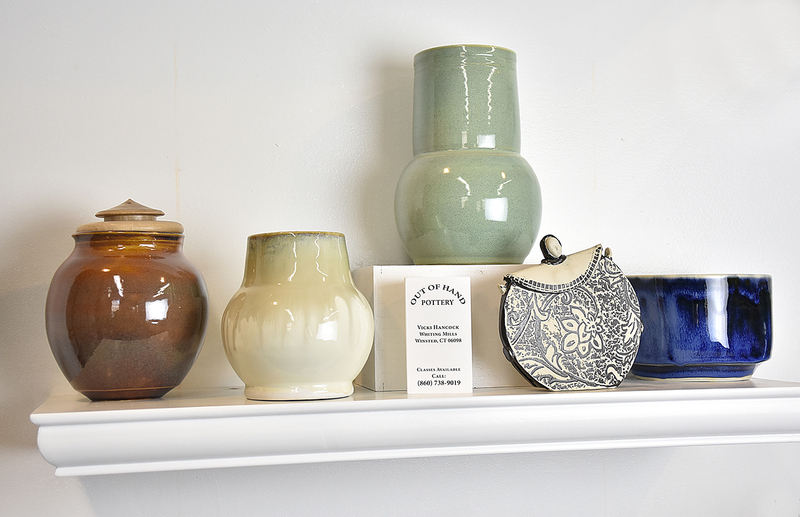 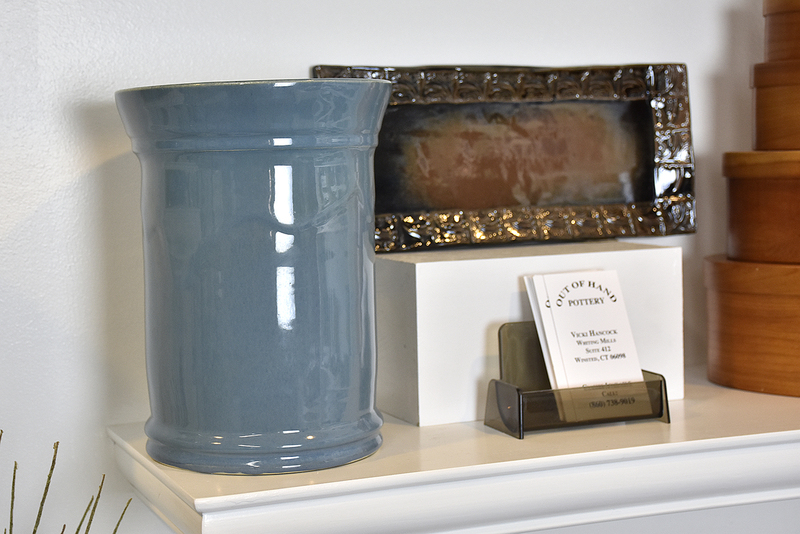 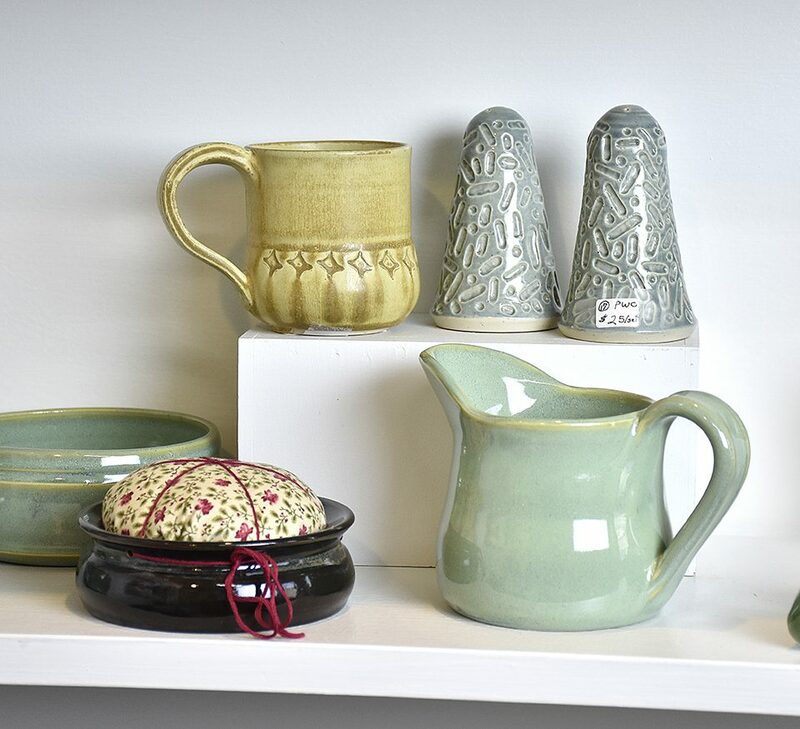 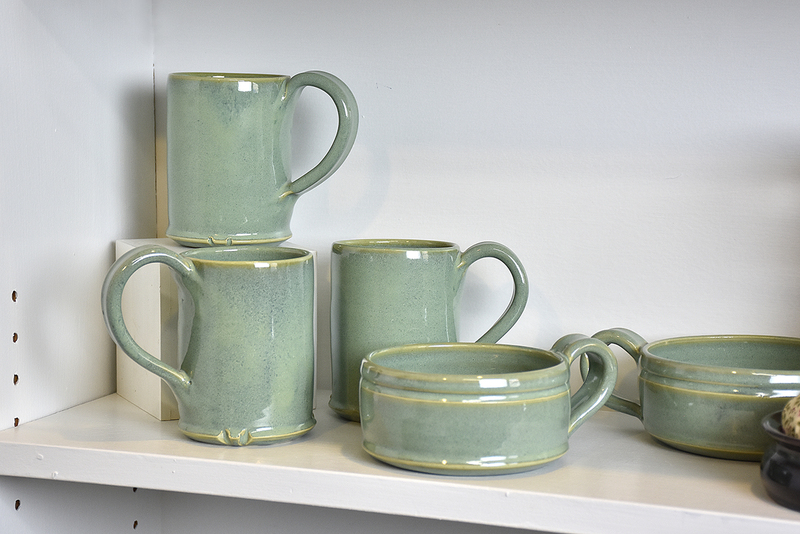 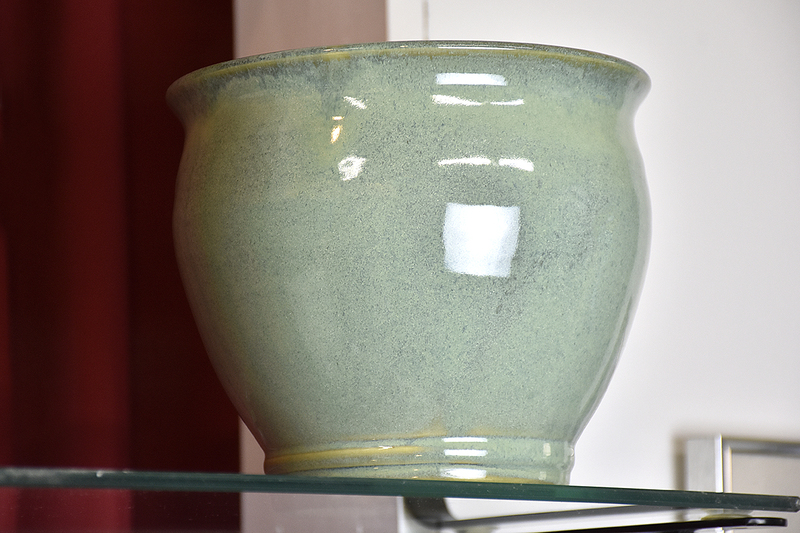 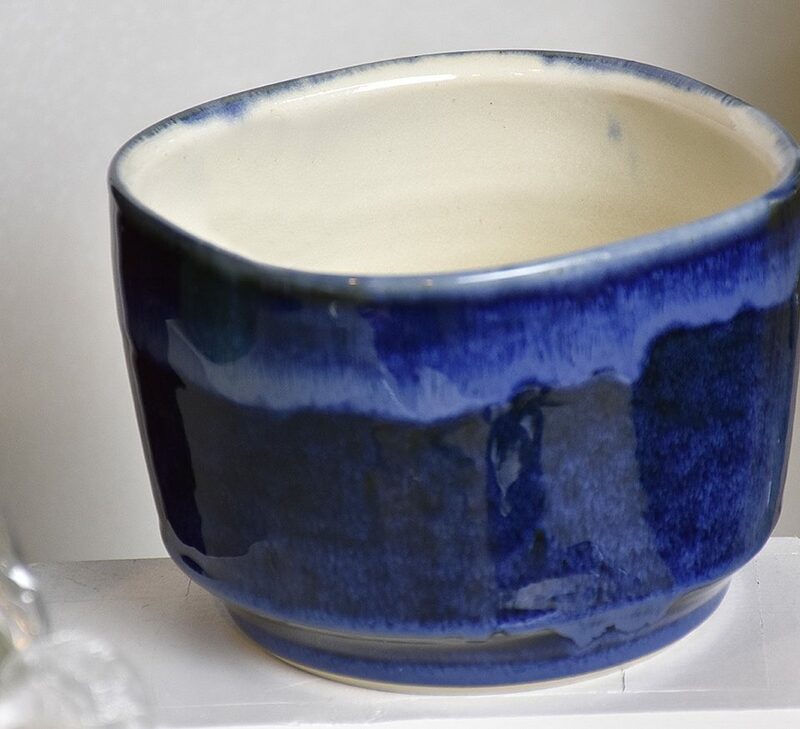 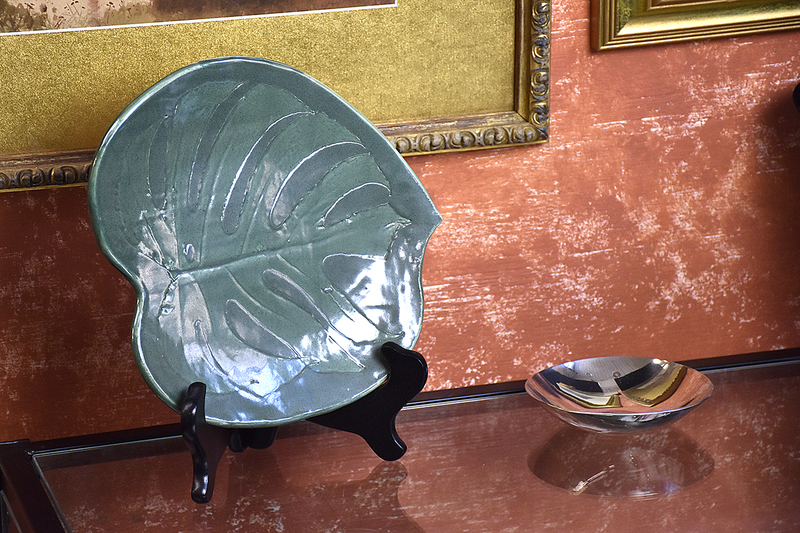 She describes her pottery as being “functional pottery”; items that can be used in everyday life. 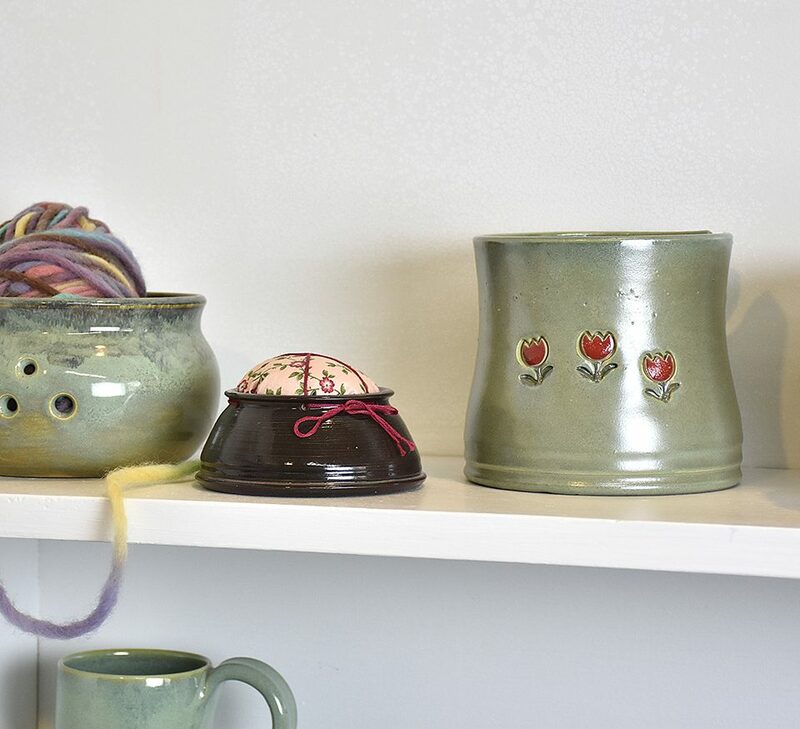 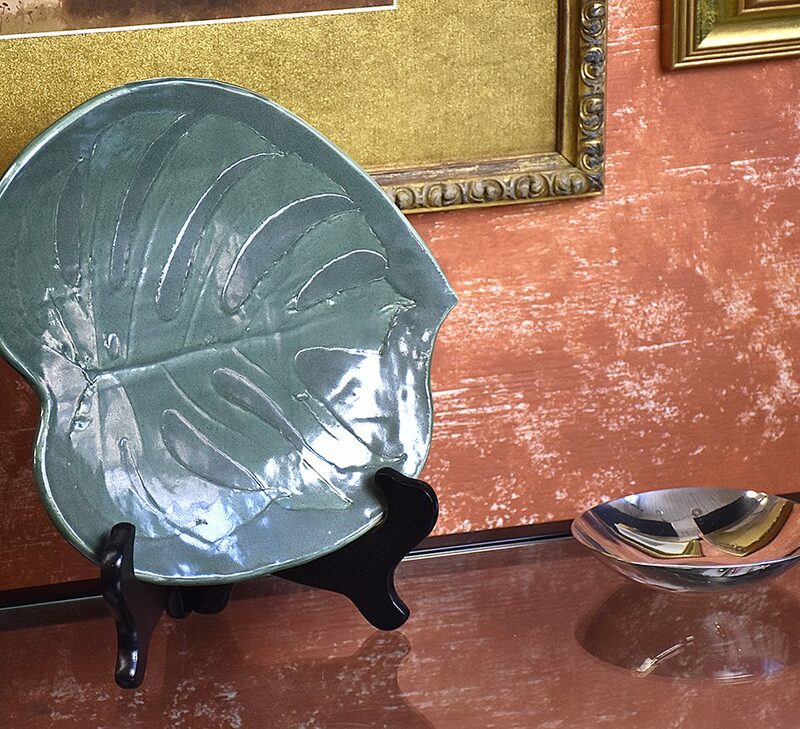 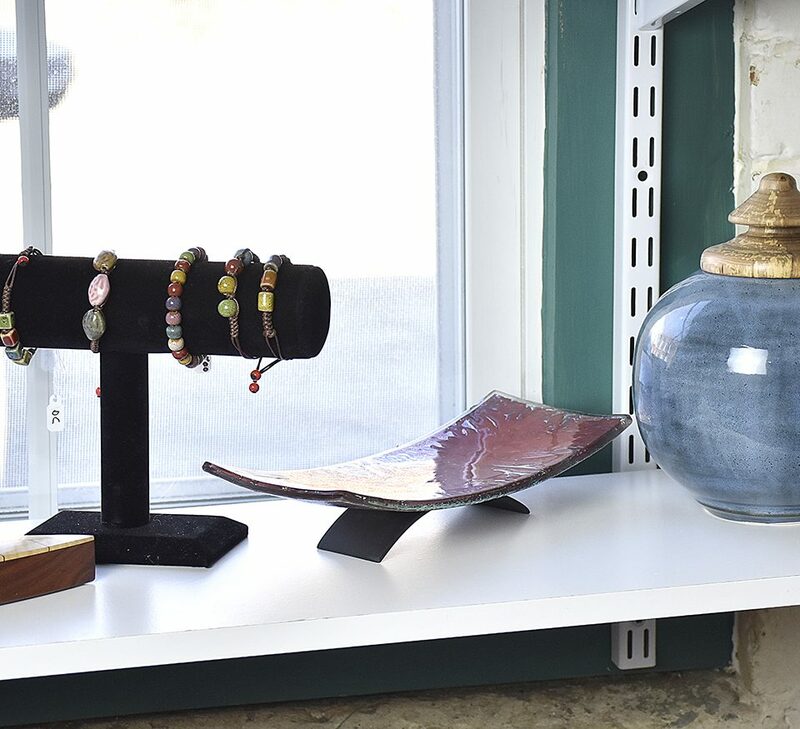 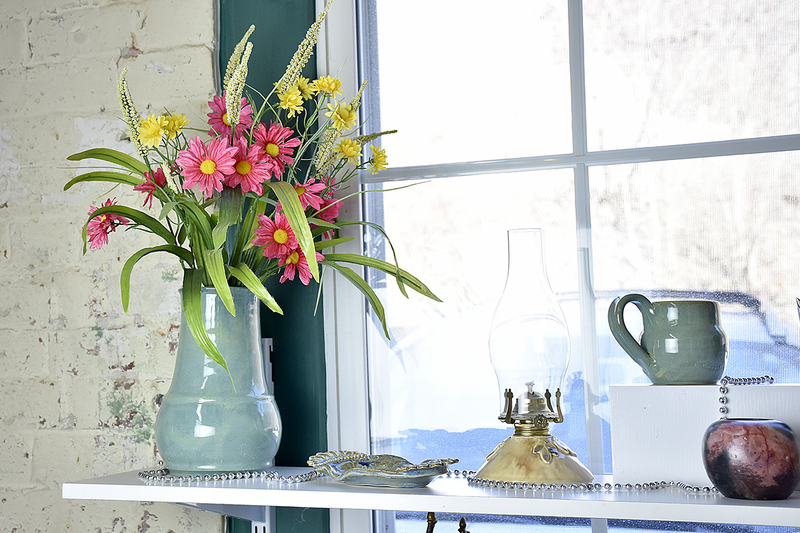 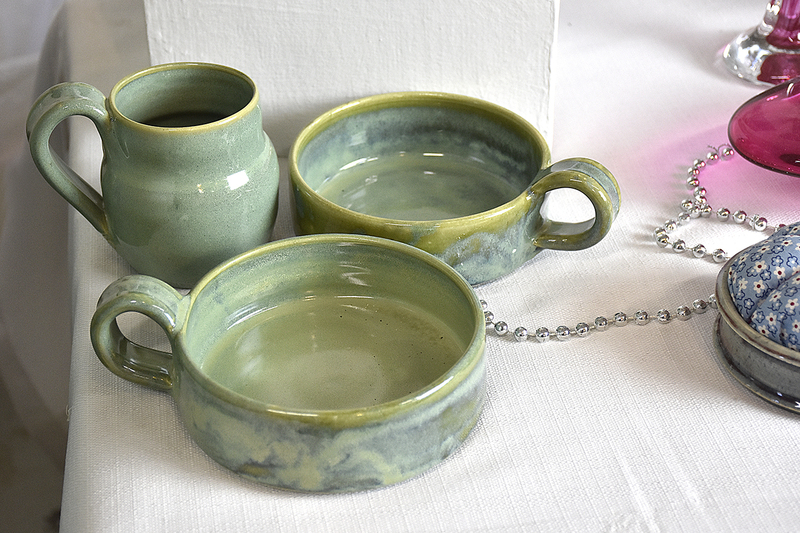 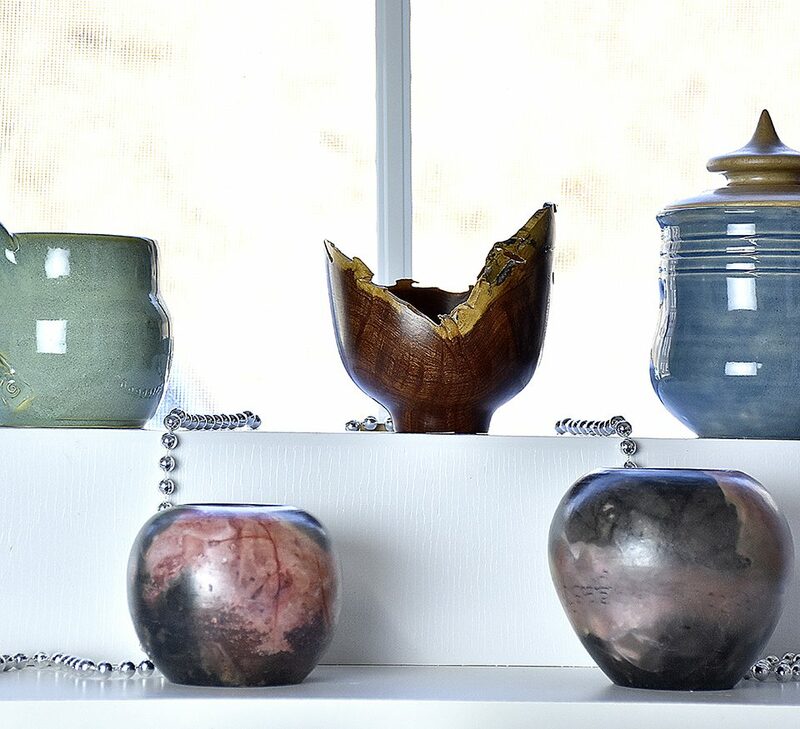 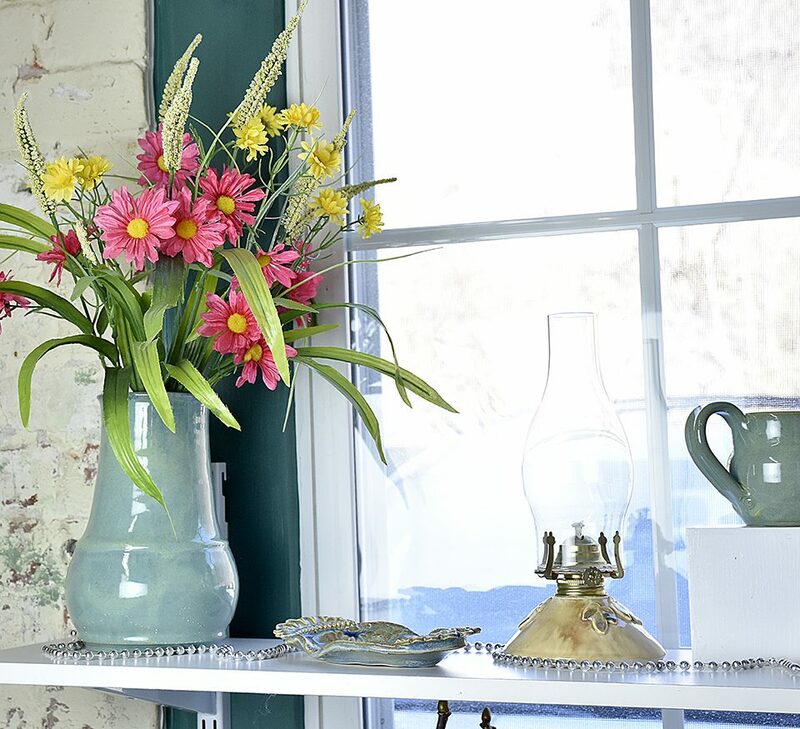 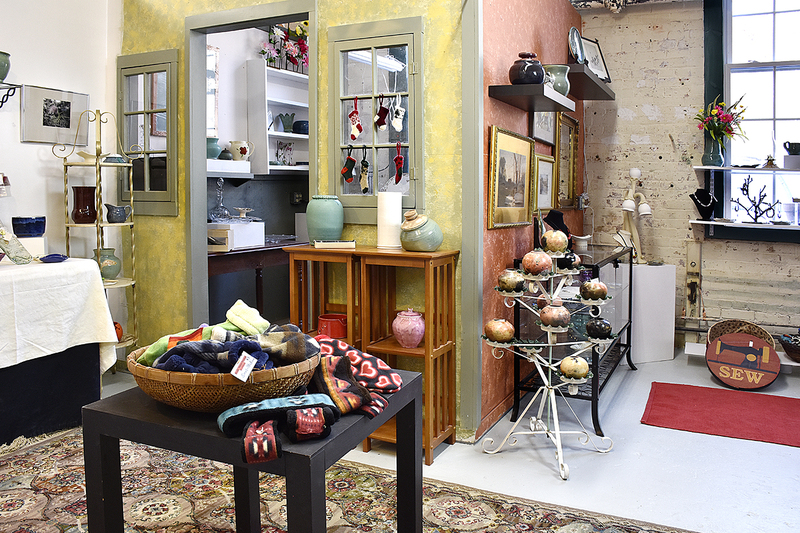 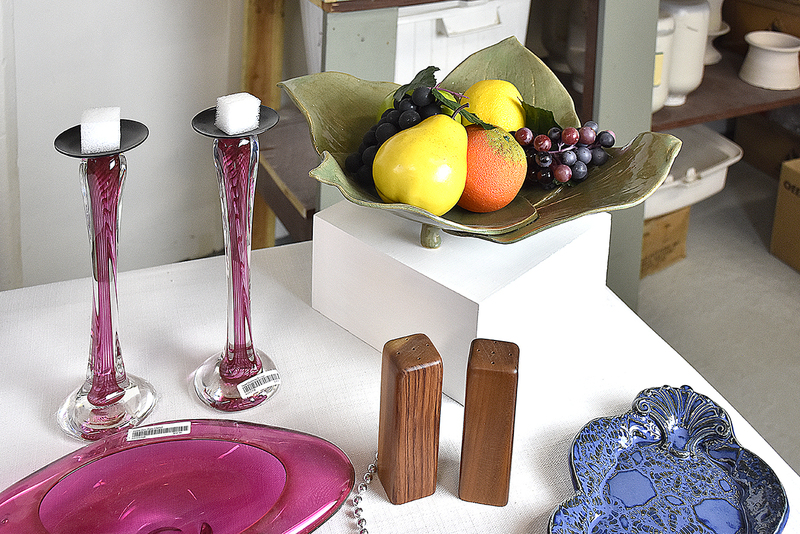 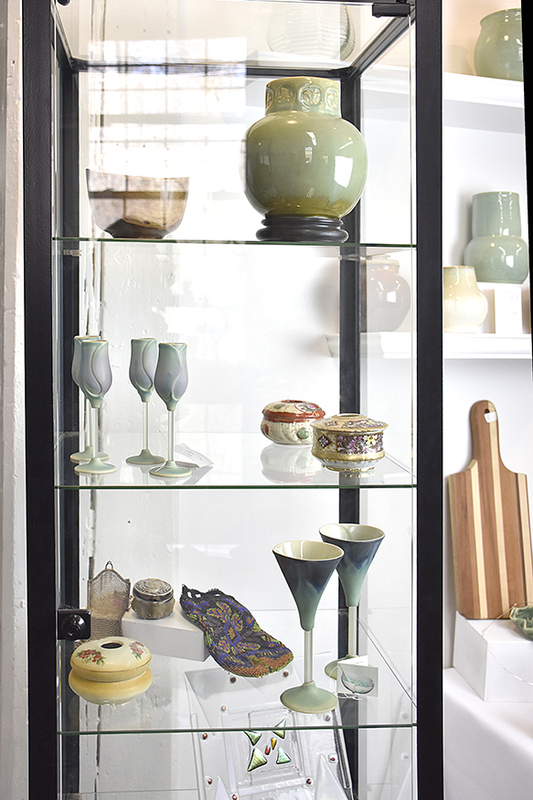 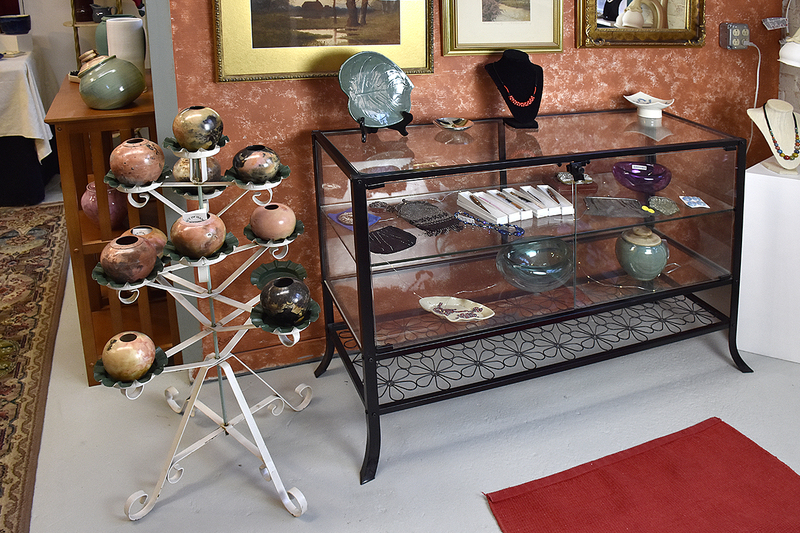 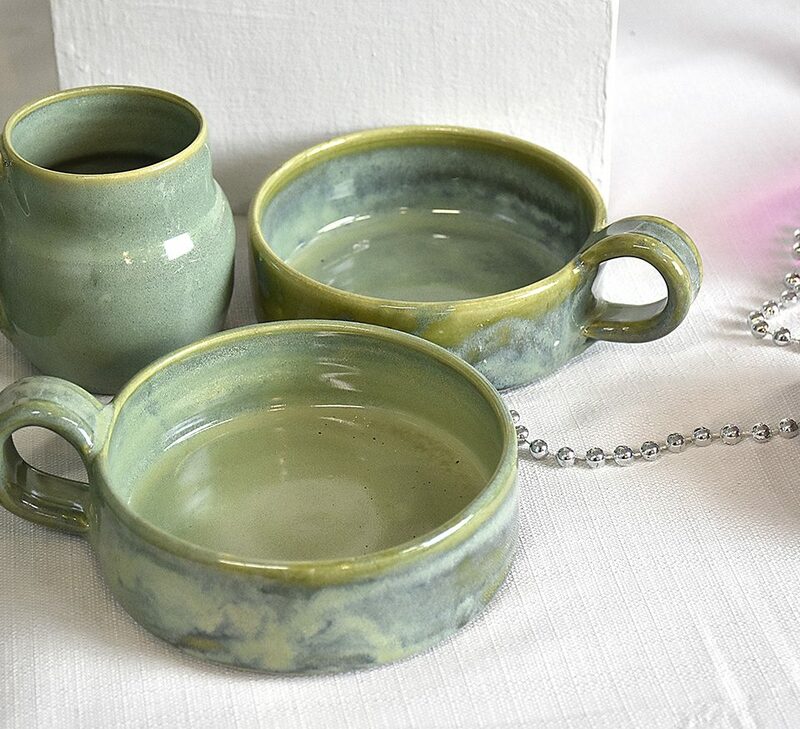 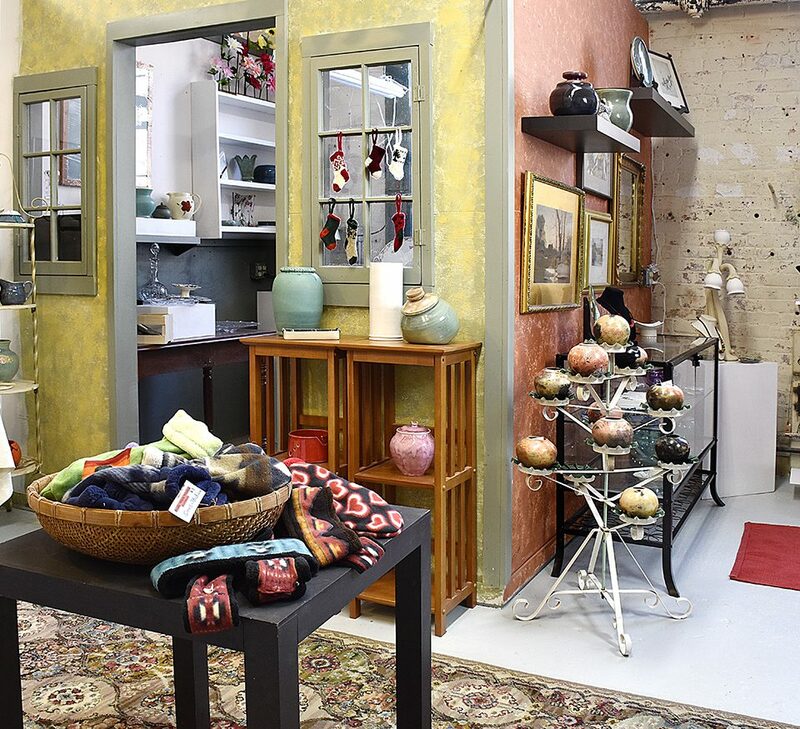 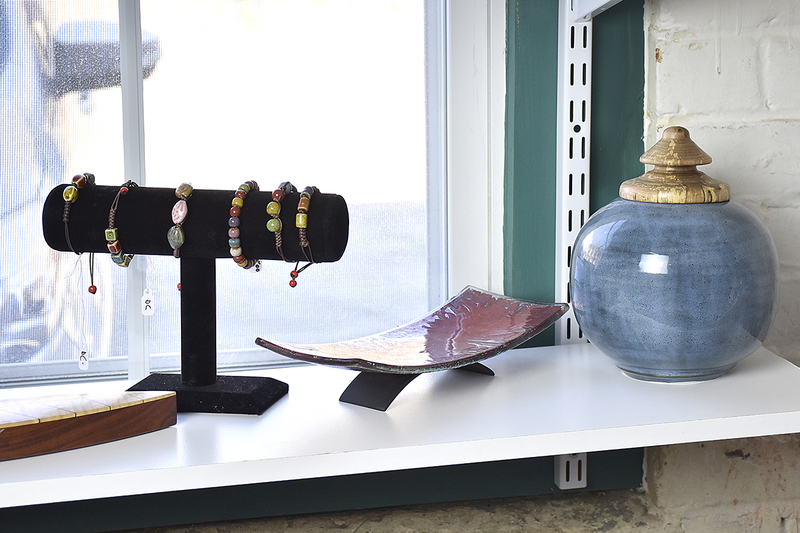 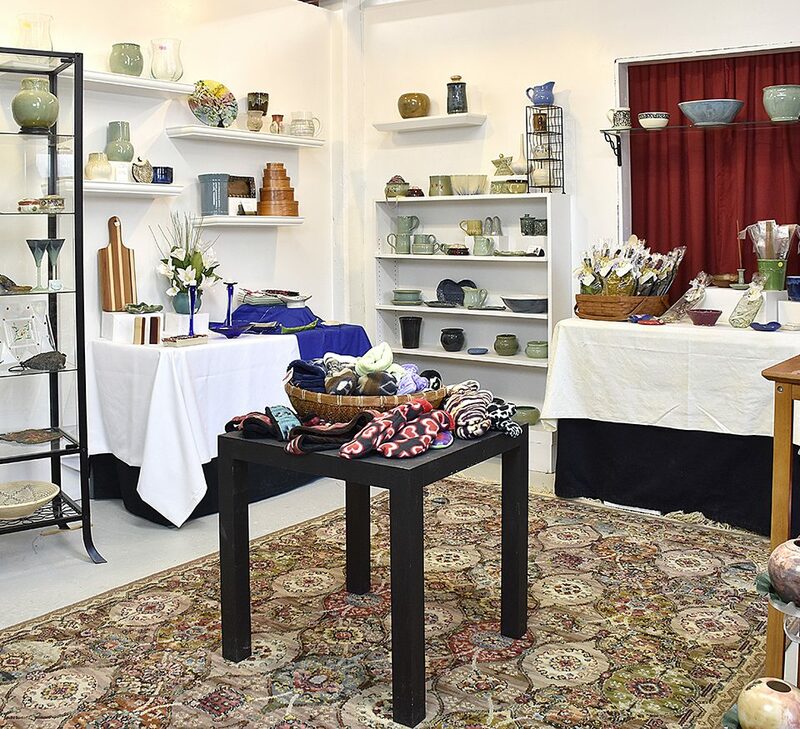 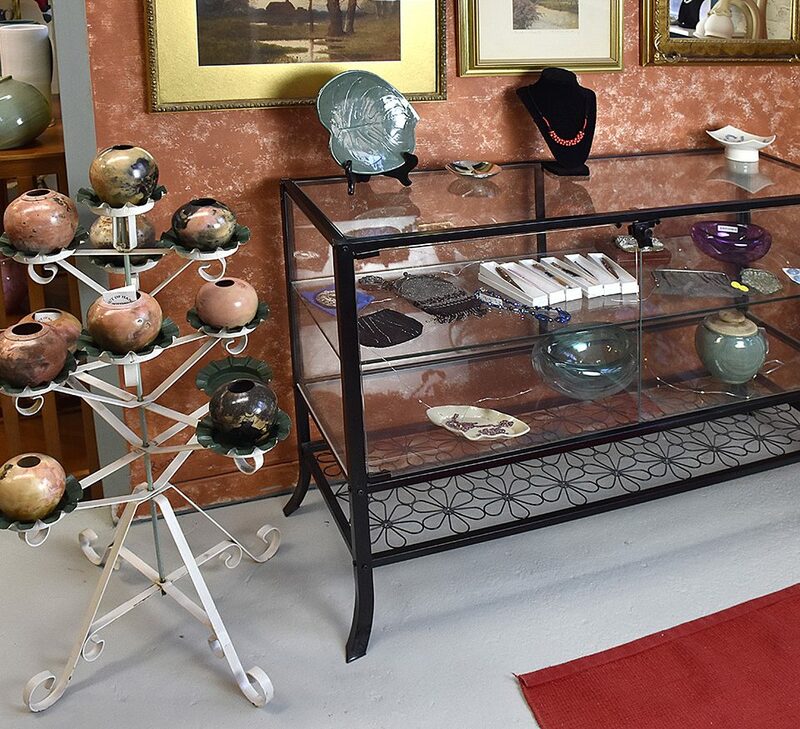 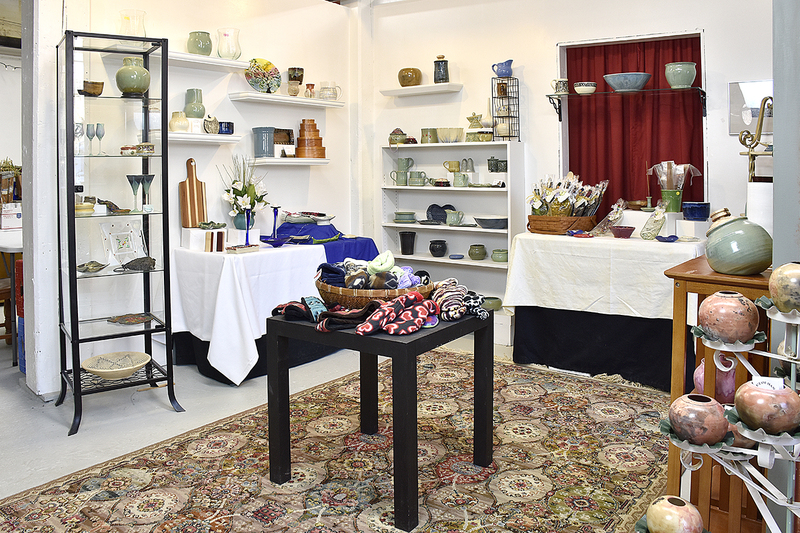 Her creations include lamps, bowls, plates, soup mugs, oil lamps and vases to mention a few. 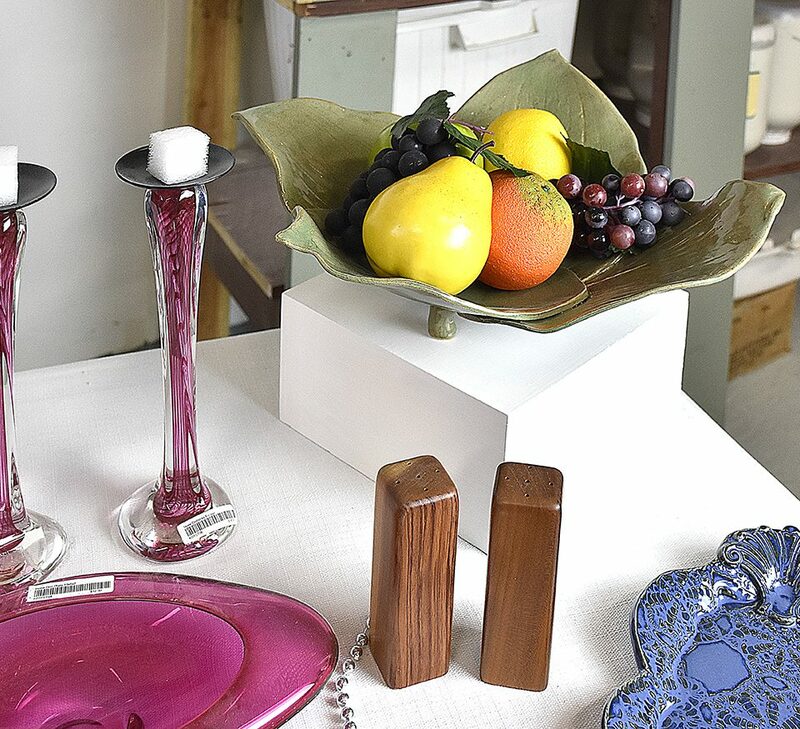 The workmanship, including choice of color and design, is exceptional. 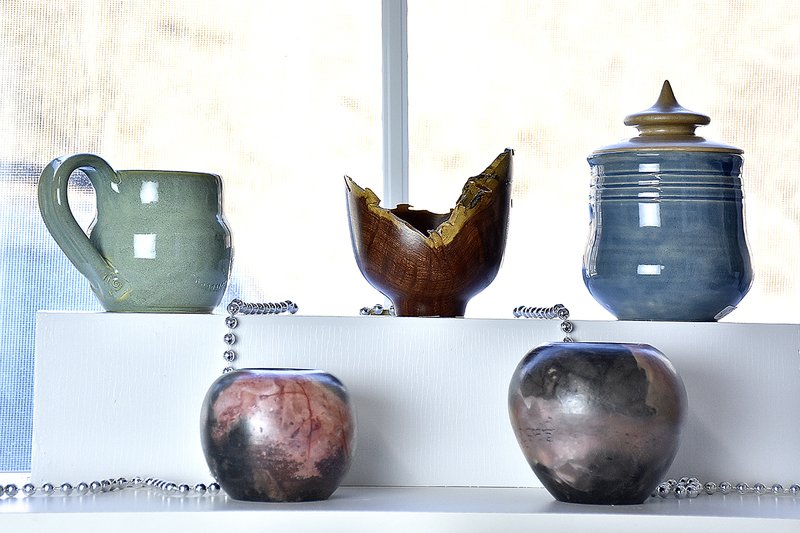 Many of her items are electric fired, but she also does pit firing as well as raku.